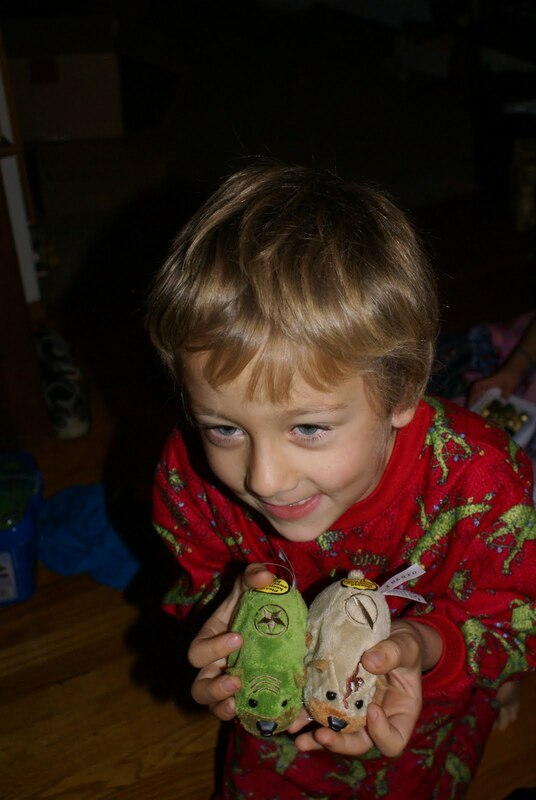 Sammy and his Kung Zhu pets. 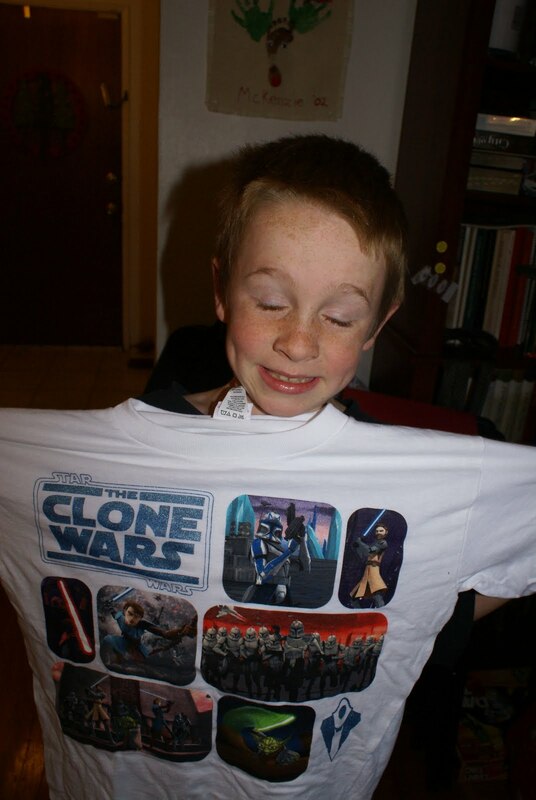 Nelson is a big star wars fan. Needless to say he loves his new shirt. 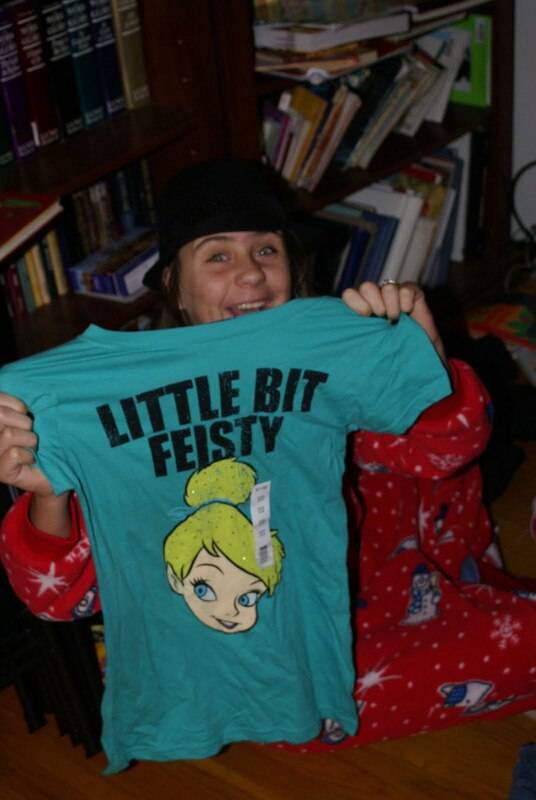 If that shirt doesn't describe McKenzie I don't know what does. Cali Loves girly things like earrings. 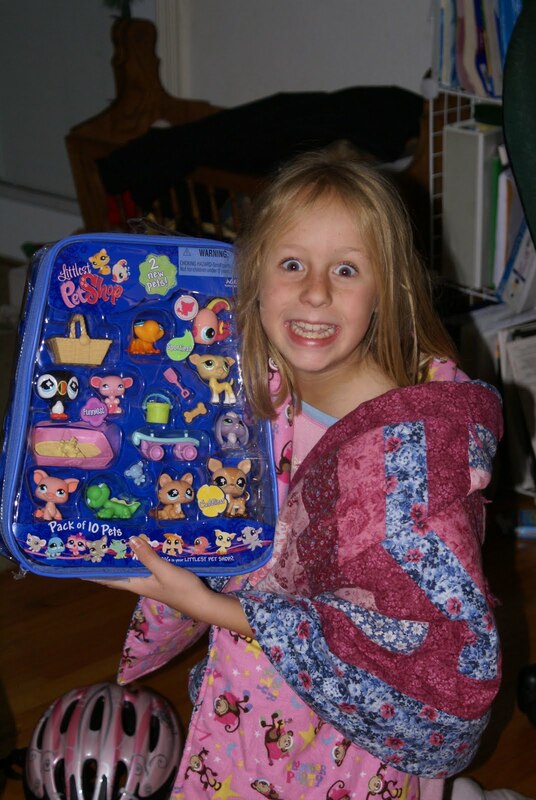 She is also a little CRAZY about littlest pet shop. Christmas morning started early at our house. The kids went to our room before they went to see what Santa brought like they always do. 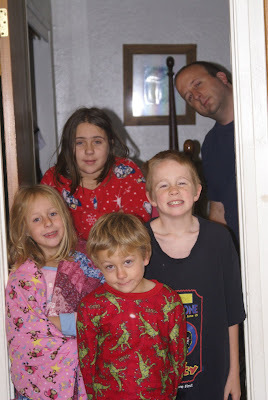 When everyone was awake and ready to go they lined up oldest to youngest and walked down the hall out to the living room. Let me tell you that trying to enforce the no running rule when they are all so excited is really difficult but that is partly what makes it fun at least for me. Anyway after they looked in their stockings presents were opened. They all were happy with what they got. McKenzie I hate to admit is growing up and she is starting to turn more into a girly, girl with each passing day. She still has a bit of tom boy in her but that is not her most dominate personality anymore. When she asked for clothes and make-up for Christmas first i needed to do a double take then i wanted to cry. It really wasn't that long ago when she went literally running from the idea of wearing make-up now she wants to wear it all the time, waaa. Anyway so she was one happy girl to get both. Sniff, sniff. Nelson was thrilled with his star wars stuff and his wii game. Cali I had to laugh at. She also asked for clothes and make-up. she has always been a girly, girl. However when she asked for makeup I honestly laughed at her. She said but Kenzie asked for some. All I could say was yeah but Kenzie is 13 and you are 8 it is so not going to happen. Thank goodness she was happy with her clothes and toys. 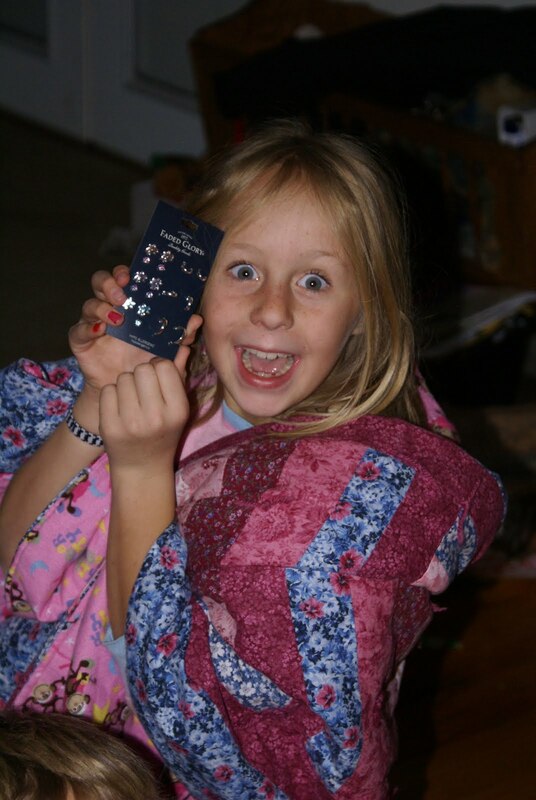 My mom gave her a nail kit which she was happy with. Sammy loves his cars and video games. My boys were definitely easier to make happy. For Breakfast we had carmel rolls that our friends the Knudson family gave us. Can I just say yummy. They were so good. Thank you Knudsons for bringing the makings and the directions for that very yummy treat. Later Ken took the kids to see his family. I didn't go because honestly I was not feeling very well. I felt bad about not going because I love my in-laws. I got lucky in that regard but there was not much I could do about that. So while my family was off having a good time, which i insisted they go and have, i lounged around on my couch all day getting some rest. It was nice not having to worry about anything or anyone at that point. 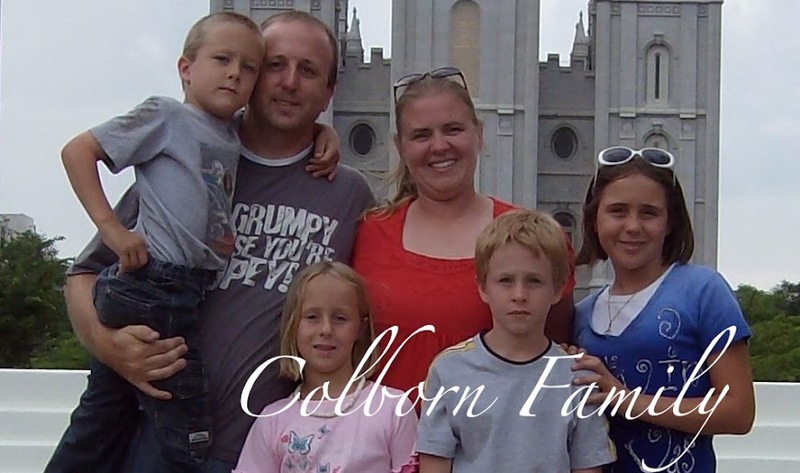 I was pleasantly surprised when my family came home a lot sooner then I expected. They decided that since I was home by myself on Christmas they needed to come home as well. However I know that they all had a blast at my in-laws like they always do. I was also very pleased that by time they all got home i was feeling a ton better. All in all we had a very good Christmas. It is hard for it to go bad even when I wasn't feeling well when surrounded by the love of friends and family. I hope all our friends and family had a great Christmas as well.